The body-swap comedy “Little” came in second with $15.5 million for Universal Pictures. Made for just $20 million, “Little” is just the most recent profit-maker for Packer, the “Girls Trip” producer. 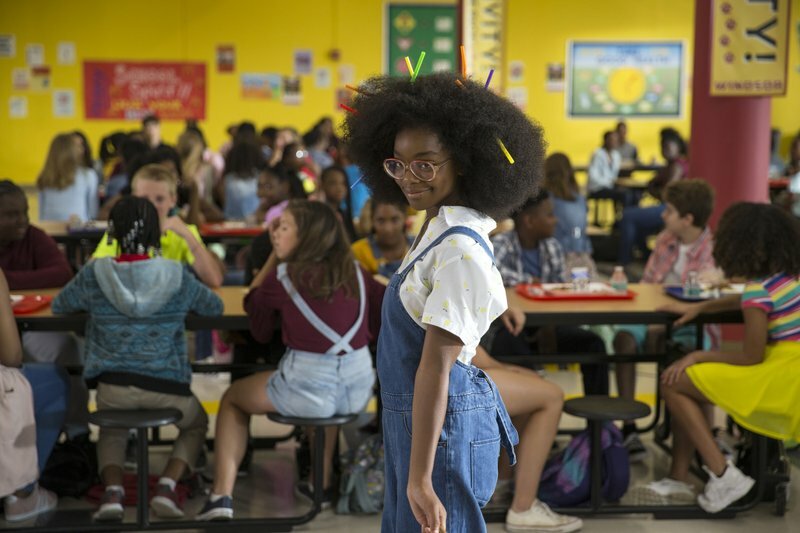 The film, directed by Tina Gordon Chism, stars 14-year-old Marsai Martin as the child an abusive tech executive (Regina Hall) reverts to after a magical spell is cast on her. Martin, the “black-ish” star, also executive produced the film, the youngest ever so credited in Hollywood history. “Little” drew a largely female (65 and African American (43%) audience. Jim Orr, Universal Pictures distribution chief, credited the cast, Chism’s direction and Packer’s overall know-how. It was an out-of-body weekend at the box office. 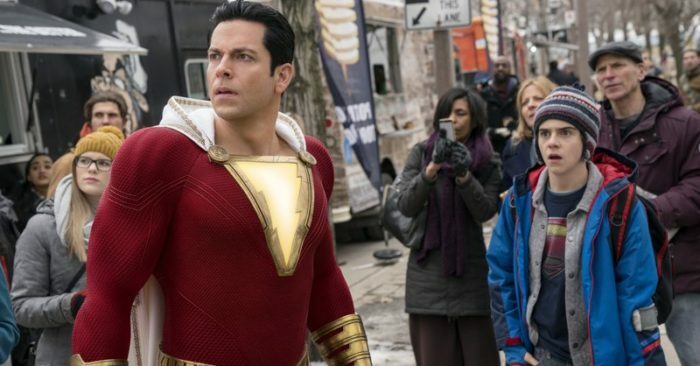 The body-swap comic-book adaptation “Shazam!” — about a teenage boy (Asher Angel) who can turn into an adult-sized superhero (Zachary Levi) with a simple command — held solidly in its second week. Capitalizing on good reviews and word-of-mouth, “Shazam!” is Warner Bros.’ New Line’s latest DC Comics success. It has grossed $94.9 million through Sunday with a worldwide total of $258.8 million. Lionsgate and Millennium’s “Hellboy” had been expected by many to vie with “Shazam!” on the weekend. But on the heels of terrible reviews (just 15% “fresh” on Rotten Tomatoes), it flopped with $12 million against a $50 million budget. That’s significantly less than the 2004 original ($23 million opening) and the 2008 sequel ($34.5 million opening). 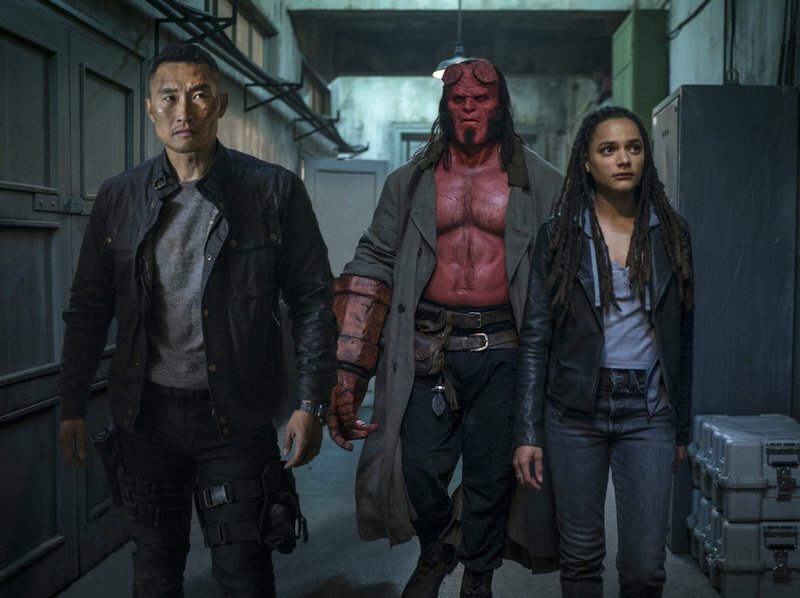 Those films were directed by Guillermo de Toro and starred Ron Perlman; the new “Hellboy” stars David Harbour (“Stranger Things”) and is directed by Neil Marshall. “Missing Link” also missed. It opened with a disappointing $5.8 million, marking a new low for Laika, the maker of eccentric animated tales such as “Coraline,” ”ParaNorman” and “Kubo and the Two Strings.” ”Missing Link,” distributed by United Artists Releasing, is about the discovery of a creature in the Pacific Northwest. Its voice cast includes Zach Galifianakis, Hugh Jackman and Zoe Saldana. Expectations had varied widely for Aviron Pictures’ “After,” an adaption of Anna Todd’s 2014 best-seller. The young-adult drama fared well with $6.2 million in 2,138 theatres. And “Mary Magdalene,” starring Rooney Mara as Mary and Joaquin Phoenix as Jesus, finally opened, more than three years after production. Harvey Weinstein had once conceived of the film, directed by Garth Davis (“Lion”) as his next Oscar contender. 4. “Pet Sematary,” $10 million. 6. “Captain Marvel,” $8.6 million. 9. “Missing Link,” $5.8 million. 10. “The Best of Enemies,” $2 million.